Dyson's latest vacuum cleaner continues the company's efforts to help us all clean more efficiently by removing the need to clean or replace filters. The new Dyson Cinetic uses patented cyclone technology and, the company says, is so successful at separating the dust from the air that air alone passes through the filters thereby removing the need to clean them. "The Dyson Cinetic will not lose suction in its lifetime. This means the consumer will get the same suction on day 1 as they will in year 10," claims Dyson's promotional materials. The British manufacturer says the its new cleaner is the result of nearly six years of R&D by 29 engineers and a combined 9,000 hours of product testing in real environments. “Getting rid of bags solved the frustration of my vacuum losing suction. But washing filters - or worse – buying them, is still a nuisance," said James Dyson. "Dyson Cinetic cyclones are so efficient at separating microscopic particles that everything gets thrust into the bin, and you can forget about fussy filters,” he said. According to the company, the cyclones inside the new cleaner spin at a higher centrifugal force to capture smaller particles. Flexible tips on the end of cyclones prevent them from blocking at high speed. Dyson has also employed its Ball technology to make sure it retains the central pivot point that helps steer the cleaner around outlying furniture. 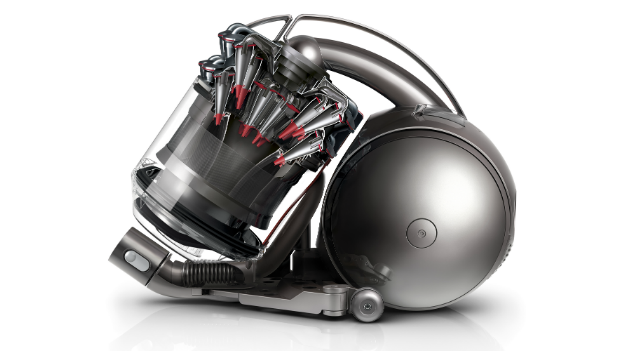 The Dyson Cinetic is available to buy now and will set you back £419.